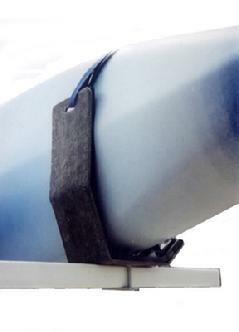 Are old roller or saddles systems making transporting your canoe or kayak difficult or unsafe? 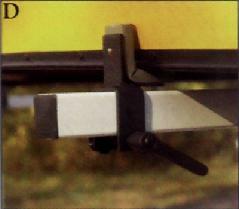 Make sure they get tied down right with our selection of trailer tie downs. We have the system that is right for your trailer and right for your canoe or kayak. Our saddle systems include built in trailer tie downs made from stretch eurothane pads that conform to the hull and create a 100% contact. Our kayak saddles come in many different styles including a J saddle system, poly vinyl and roller system. Even though you have a canoe or kayak trailer, doesn’t mean its usefulness is limited to hauling your boat in the summer time. With a ski rack, you can enjoy your trailer all year long. We love making trailers more useful to you and with a small addition of ski rack or bike rack, you can make your trailer fit your needs, whatever you’re trying to transport. Here at Magneta Trailers, we are all about options, so feel free to browse our huge selection of canoe and kayak saddles and find the one that fits your lifestyle. 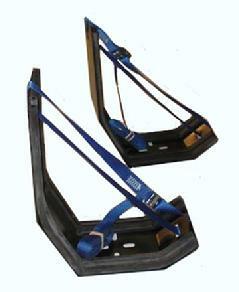 * BUILT IN TIE DOWNS STRAPS STRETCH EUROTHANE PADS TO CONFORM TO HULL SHAPE TO MAKE 100% HULL CONTACT. * CAN BE USED WITH THE #ERS2 EURO ROLLER SYSTEM. * INCLUDES 4 INDEPENDATLY ADJUSTABLE EURO PADS . * INCLUDES 2 BUILT IN TIE DOWN STRAPS. * ONE EURO SADDLE SYSTEMS SERVES ONE BOAT. PRICE $139.00 , INCLUDES SHIPPING INSIDE THE U.S.A. THE BEST SADDLE SYSTEM ON THE MARKET TODAY!! * CAN BE USSED WITH THE #ESS2EURO SADDLE SYSTEM. 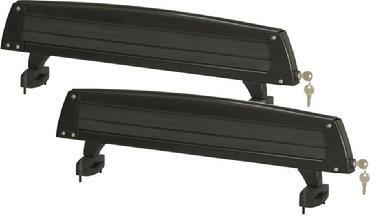 * INCLUDES 2 INDEPENDATLY ADJUSTABLE EURO ROLLERS . 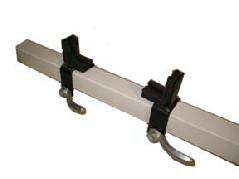 * GREAT FOR LOADING BOATS ON HIGH CROSS ARMS . * ONE EURO ROLLER SYSTEM SERVES ONE BOAT. PRICE $116.00 , INCLUDESSHIPPING INSIDE THE U.S.A. NORMALLY USED BY 1 KAYAK LAYING HORIZONTALLY. * INCLUDES 2 INDEPENDATLY ADJUSTABLE STACKER BRACKETS . 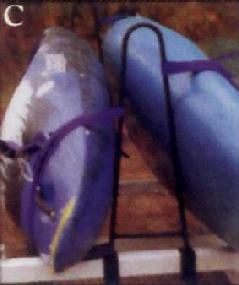 * ONE VERTICAL KAYAK STACKER SYSTEM SERVES 2 BOATS. 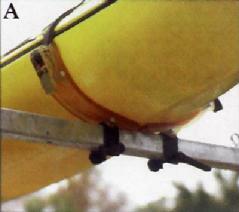 * 4 PADDED GUNNEL SADDLE BRACKETS LETS YOU CARRY 1 CANOE UPSIDE DOWN ON ITS GUNNEL RAIL. 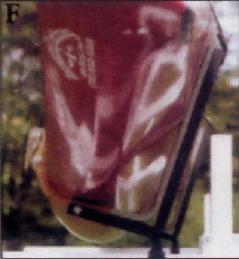 * THE GUNNEL SADDLE BRACKETS STOP THE SIDE TO SIDE SLIDING OF CANOES. 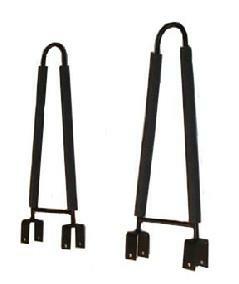 * INCLUDES 4 INDEPENDATLY ADJUSTABLE GUNNEL SADDLE BRACKETS . * ONE GUNNEL SADDLE SYSTEM SERVES 1 BOATS. PRICE $110.00 , INCLUDES SHIPPING INSIDE THE U.S.A.
* EUROTHANE PADDED J SADDLE VERTICAL KAYAK STACKER LETS YOU CARRY 2 KAYAKS VERTICALLY IN THE SAME SPACE. 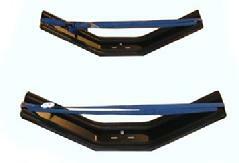 *EUROTHANE PAD STRETCHES TO COMFORM TO THE KAYAK HULL SHAPE FOR 100% CONTACT. 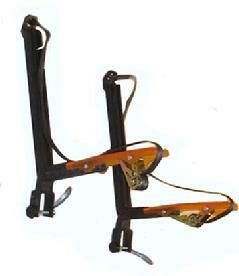 * INCLUDES 2 INDEPENDATLY ADJUSTABLE J SADDLE STACKER BRACKETS . 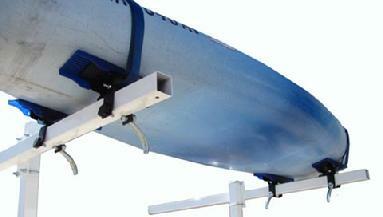 * ONE VERTICAL KAYAK STACKER SYSTEM SERVES 1 BOAT. PRICE $163.00 , INCLUDES SHIPPING INSIDE THE U.S.A. THE BEST J SADDLE SYSTEM ON THE MARKET TODAY!! * BUILT IN DOUBLE RUBBER PADDING. PRICE $ 102.00 , INCLUDES SHIPPING INSIDE THE U.S.A.
PRICE $102.00 INCLUDES SHIPPING INSIDE THE U.S.A.
* 4 POLY VYNL PADS CAN PIVOT SIDE TO SIDE TO MATCH THE EXACT HULL SHAPE OF YOUR BOAT. * PAD BRACKETS HAVE BUILT IN STRAP HOLDERS. * 2 POLY ESTER TIE DOWN STRAPS INCLUDED. * GREAT FOR CANOES, KAYAKS, SURF & SAIL BOARDS. * KEEPS BOATS & BOARDS FROM SLIDING SIDE TO SIDE. 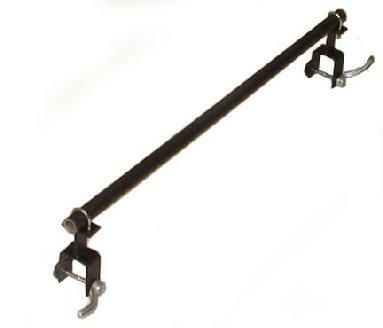 * YAKIMA AND THULE LOAD BAR BRACKETS ALLOW YOU TO ADAPT ANY THULE OR YAKIMA LOAD BARS TO ANY OF OUR TRAILER CROSS ARMS SO YOUR CAN REUSE ANY OF YOUR THULE OR YAKIMA PRODUCT ON YOUR TRAILER. 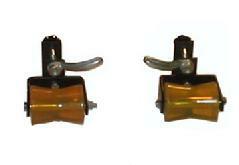 PRICES $39.00 PER PAIR , INCLUDES SHIPPING INSIDE THE U.S.A.
ADD A TONGUE EXTENDER TO YOUR TRAILER FOR LONG BOATS. SWING AWAY TONGUE EXTENDER ALLOWS FOR THE TONGUE TO SWING BACK TO ALLOW EASY STORAGE IN A SMALL AREA OR TO ALLOW YOU TO CLOSE YOUR GARAGE DOOR. SWING AWAY TONGUE ALSO CAN BE REMOVED TO PREVENT THEFT. TAKE ALL YOUR OUTDOOR GEAR WITH YOU AT THE SAME TIME! 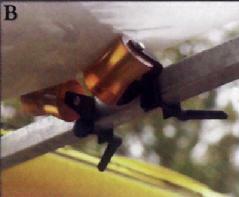 *Locking Cam adjustment system with interchangeable lock core. *Large overlap on bike tube for security. 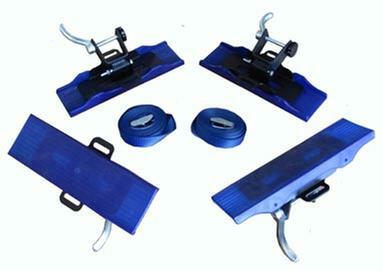 *Rigid plastic clamps with soft TPR plastic pads. *FITS U SERIES CANOE KAYAKS TRAILERS, ADDTIONAL FRAME WORK MAY BE REQUIRE DEPENDING UPON YOUR TRAILER MODEL AND HOW MANY BIKE RACKS YOU WISH TO ADD, PURCHASE ADDITIONAL FRAME WORK BELOW, FOR A CONFIGURATION THAT WILL WORK FOR YOUR SET UP FEEL FREE TO CALL US AT 1-800-397-3819 WE WILL BE HAPPY TO GET YOU THE EXACT SET UP YOU NEED TO CARRY YOUR GEAR. *Fits suspension and disk brake bikes. Capacity of up to 6 pairs of skis or 4 snowboards.